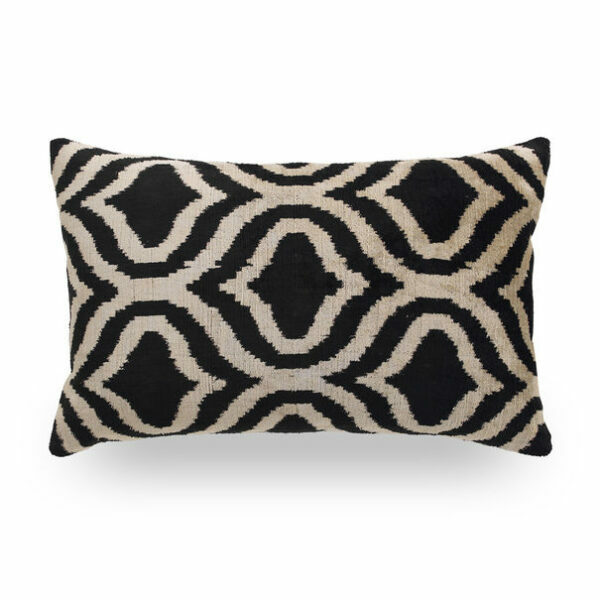 Authentic, handcrafted ikat pillow with a bold geometric design lends a timeless, vintage quality to modern or traditional décors. 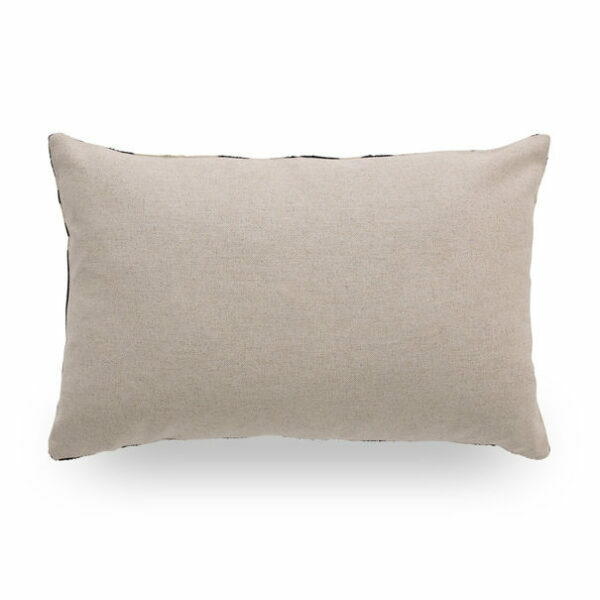 22 x 15″ accent pillow features a luxurious silk warp and cotton-fill face with a linen back. Due to ikat technique of resist dyeing, each pillow is one-of-a-kind.